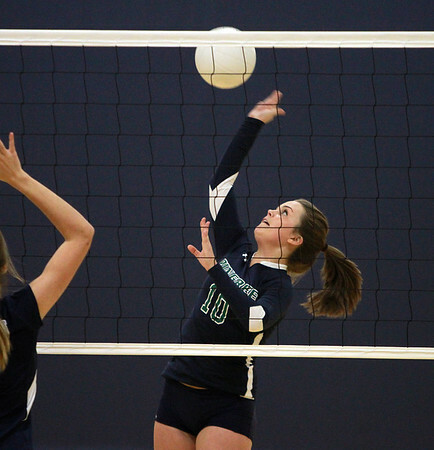 Pingree senior co-captain Casey Torto (10) smashes the ball over the net against Newton Country Day. DAVID LE/Staff photo. 10/22/14.